Authors Susanna Kearsley and Genevieve Graham Talk Favorite Reads, eh? Canadian historical romance authors Susanna Kearsley and Genevieve Graham stopped by the XOXO site to dish on their favorite reads of the moment! Keep reading to get to know the tastes of these two insanely talented ladies, and, if you live north of the border, catch them on their Timeless Tour, running May 9th-13th across Victoria, Calgary, Winnipeg, and Uxbridge. How ABOOT that?! Thanks for inviting me here! I’ve enjoyed Tessa Dare’s writing for several years now. A Week to Be Wicked is part of her Spindle Cove series, and features a fun, mismatched pair on a dash north to Scotland that proves to be more than they bargained for. Loved it. 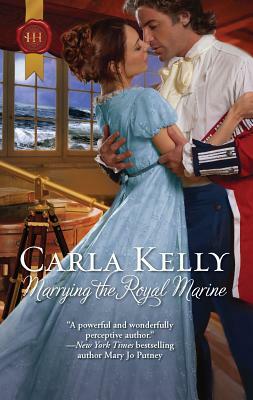 Carla Kelly, in Marrying the Royal Marine, does what she does best: She takes two believable, deeply drawn people and throws them together in troubled times, testing the honour of one and the strength of another in memorable, quiet, emotional ways. 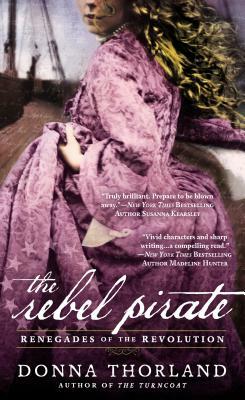 The Rebel Pirate, second in the Renegades of the Revolution series by Donna Thorland, starts with one of the best first sentences I’ve ever read: “The gold was Spanish, the chest was French, the ship was American, and the captain was dead.” I couldn’t stop reading after that, and I’ll be you can’t, either. Captured by Beverly Jenkins is a terrific book. Wonderfully researched and written, inspired by true history, it features a swashbuckling hero and a determined heroine, both black, one born free and one a slave, who give an unforgettable, original perspective on the Revolutionary War era. And finally, for a different twist on historical romance, there’s Meljean Brook’s Heart of Steel, the second of her Iron Seas steampunk books set in an intricately reimagined world that’s built so beautifully its history seems as concrete as our own. The couple in this book is equally matched in wit, fighting ability, bravery and love of adventure, and I read this all in one sitting. The books I love are often called both Historical Fiction and Historical Romance, even though the author doesn’t always set out to write a romance. I once saw Diana Gabaldon speak at a convention of the Romance Writers of America, and she said she was confused as to why she was there. “I don’t even write romance,” she said, and yet her books are incredibly romantic while also being unabashedly real. The first Historical Fiction novel I ever read (other than the “Little House on the Prairie” books when I was oh, so much younger!) was hers. I read the Outlander series seven times. After that, well, not only did I dive headfirst into any historical novel I could find, I was inspired to write my own. After the Outlander books, I turned to Sara Donati’s Into the Wilderness series and enjoyed it tremendously. Book series allow an author to explore not only their lead characters, but their supporting characters as well. Ms Donati did a beautiful job of raising memorable generations of characters both good and evil. 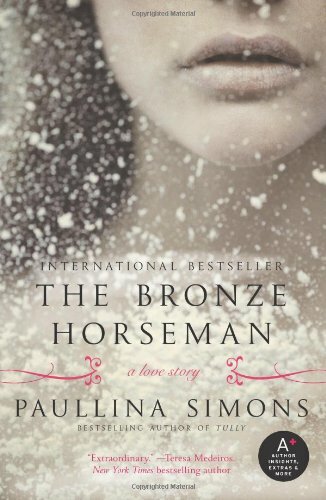 A couple of years ago I read Paullina Simons’ Bronze Horseman trilogy. Wow. The first book simply wrung out every emotion I had while teaching me an incredible amount about Russia and World War II. The books opened my eyes to a whole new world, and I’m looking forward to reading her next novel. 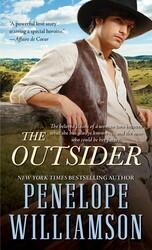 Penelope Williamson is another wonderful, descriptive author, and The Outsider took me away. I love good, thick epics, and she is a master at those. I’d never read a western before and knew nothing about the Amish. Suffice to say, I’ve now read all her books and am constantly on the lookout for more like hers. A few years ago I came across the name Susanna Kearsley. I’ve since devoured all her books. Time travel is terribly hard to write. Not only must the author come up with a mechanism which allows the character(s) to pass through years (or days, or whatever), they also have to reflect how one time zone might affect the other. Ms Kearsley does it seamlessly. As a bonus, her main characters are occasionally authors, which means we get a brief glimpse into the author’s mind as well. I don’t really have a favourite, but I recall some beautiful sections in The Winter Sea which perfectly describe what it’s like to be in an author’s head when they become lost in a “writers’ trance”. An "ugly duckling" finds that she blossoms into a swan under the gaze of a protective Royal Marine in this Regency by fan favorite Kelly. We're suckers for a girl-dressed-as-boy story here at XOXO, and when you throw in that she's from a family of pirates and set it in the rarely-seen-these-days Revolutionary War period? Aye aye, cap'n! The reigning queen of steampunk weaves a tale of a beautiful airship captain who crosses paths with a swashbuckling adventurer in this novel from Brook's Iron Seas series. 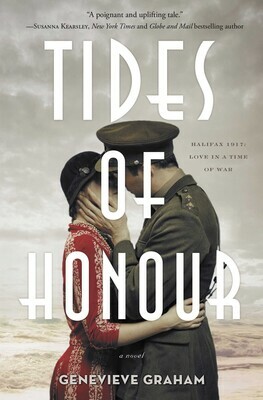 The first in a trilogy, this book is a sweeping love story that takes place in war-torn Russia during World War II. Sounds cold. A daughter of the Amish faith; a stranger with a gun; a forbidden love. Need we say more? Wow! You all have great taste in books. I’m going to have to check these out. There is a little something here to satisfy all taste.